San Francisco and L.A. are world-class tourist destinations, but so is the "mid-section" between them known as the California Central Coast. Though perhaps not as well known as the marquee cities to its north and south, the region boasts its own unique history, landmarks, and stunning landscape. Recommend the Central Coast's many highlights to clients interested in experiencing a different part of California. The state received nearly 200 million "domestic person visit trips" in 2010 alone, according to official Visit California figures. That's a huge slice of the tourism pie waiting for savvy agents. The Central Coast is the coast between Monterey Bay in the north and Point Conception (in southwestern Santa Barbara County) to the south. Long inhabited by Chumash Indians, the coast was first visited by Europeans in 1542 when the Spaniard Juan Cabrillo sailed close to the shore. His successors turned the Central Coast into a bastion of colonial rule, site of California's most important missions and original provincial capital. Today, the area is among the top tier of touristic regions in the state, based on hotel occupancy figures collected by the research firm STR. And, it's experienced an overall increase in visitors since 2011. Wildlife: Sea otters, seals, sea lions and myriad species of birds call the Central Coast home. Visitors can observe the critters in their natural habitat; then, for an up-close encounter, recommend the famous Monterey Bay Aquarium. Agriculture and Viticulture: The Central Coast includes the Salinas Valley, the most fertile agricultural region in the country, and the setting for John Steinbeck's most famous works. If your clients are interested in wine, mention that the Central Coast American Viticultural Area has gained international recognition for its award-winning vintages. Numerous wineries feature daily tastings. Golf, Golf, and More Golf: The Central Coast's dramatic landscape has some excellent golf courses. The best known are the Spyglass Hill Golf Course, the Links at Spanish Bay and the world-famous Pebble Beach Golf Links; all located at the Pebble Beach Resorts. These two AAA Four-Diamond resorts called the Inn at Spanish Bay and the Lodge at Pebble Beach, are renowned for their spa and golf packages. Additional Outdoor Sports: Bicycling along the region's many coastal routes can provide challenging workouts enhanced by spectacular views. The quaint college town of San Luis Obispo is a haven for cyclists.Body surfing, wind surfing, parasailing and fishing are also popular along the Central Coast. The Dolphin Bay Resort & Spa, just south of San Luis Obispo, is adjacent to Shell Beach and Pismo Beach, both big body surfing and parasailing spots. Let your clients know that fishing boats can be rented in nearby Avila Beach. Carmel-by- the-Sea (or Carmel), on the Monterey Peninsula, was founded more than a century ago as an artist's colony and remains one to this day -- albeit an extremely wealthy one. The one-square-mile village is known for beautiful white sand beaches, Cypress groves and famous citizens, including the Clint Eastwood clan, whose new reality show stars Carmel as a backdrop. Monterey, California's first capital, later became famous for its fish canning factories, immortalized in Steinbeck's "Cannery Row." Robert Louis Stevenson also lived there. Today, tourists flock to Fisherman's Wharf (which has become a restaurant row), the historic early California heritage district, and the Monterey Bay Aquarium. 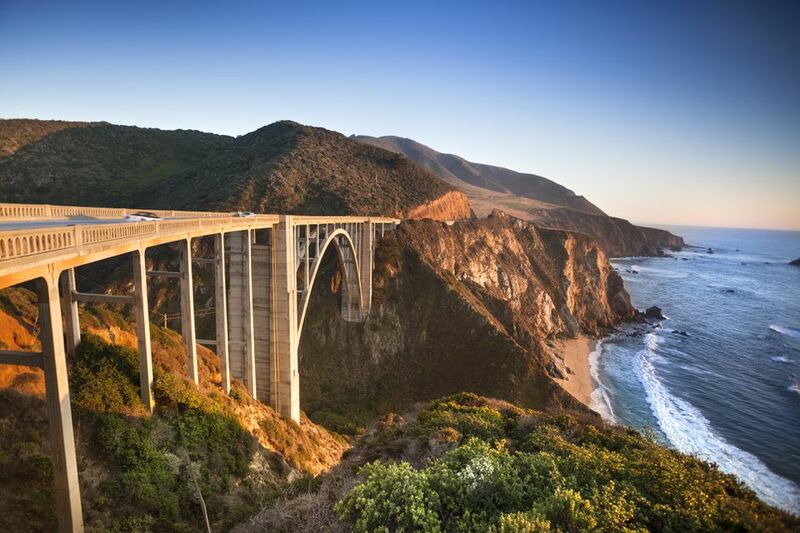 Big Sur is a coastline drive, bohemian vibe and the highest coastal mountain range in the lower 48. It also boasts world-class resorts, like the much-lauded Ventana Inn and Spa. San Simeon is home to the Hearst San Simeon Estate ("Hearst Castle"), a National Historic Landmark. Built by the architect Julia Morgan for William Randolph Hearst, it's a destination in and of itself.